The following information and documents were sent to me by Barry Ryan, a direct descendant of Daniel “Dandy” Fanning and Mary Ryan nee Keane. I found the story of his research as interesting as the stories themselves. I don’t know if my Fannings are related to Dandy. It is possible, as he came from the same parish, Drom And Inch in Co Tipperary. I am publishing this information as I enjoyed reading Barry’s work and it may be of interest and help to others in their family history search. Many thanks to Barry for allowing me to post his work. Any questions and comments I will pass on to Barry. FAMILY TREES ARE EASY AREN’T THEY? I had never thought of compiling a family tree until one day in about 1982 when at a family gathering of some sort my cousin the late Lola RUTHERFORD (nee FARRELL) gave me a copy of “the family tree”. That was all of it. I was approaching retirement and had the time to try to expand it. A visit to Chester Hill branch of Bankstown City Council Library provided a number of books on compiling family histories. Fortunately marriage certificates of my parents and grandparents were available and there was no difficulty in obtaining a Readers Ticket from State Archives in Globe Street. My local branch library had several microfiche viewers and a number of copies of BD&M microfiche indexes and I was up and running. Neither of my parents or their siblings were living so there were no first hand reference points but it had been drummed into me that all my ancestors came from Ireland and that is a great bonus for family tree researchers. For whatever reason I started on the maternal side and in next to no time I learnt about Assisted Immigration, Entitlement Certificates, Remittance Regulations and Shipping Records and had completed the mother’s side of the family fully documented with copies from State Archives. How easy was this? Next step was the paternal grandmother leaving the easy part till last. Again no problems. Following the text book approach it all fell into place through assisted immigration and shipping records. Within say, six months, three parts of the job was done thanks mainly to Irish ancestry and the plethora of material available through State Archives and other sources and assistance from Bankstown City Library. I started the “easy part” of the project sometime in 1983 and completed it in 2009 which is the purpose of this little story in documenting the pitfalls and problems encountered and hope it may help others. 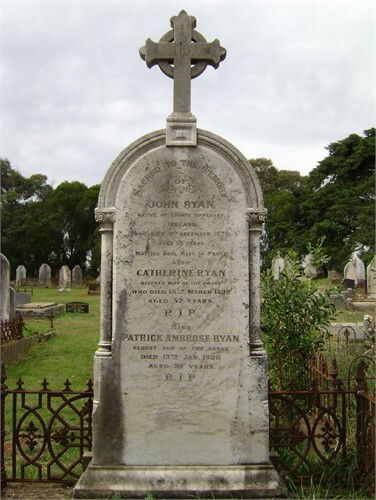 According to documentation available in 1983 my paternal grandfather was Joseph RYAN, born 12th July, 1850 at Scotts Flat (near Singleton) to Joseph RYAN and Mary CAIN, and he had a brother David. He married Anne McLoughlin at St Marys Catholic Church Newcastle on 16th November, 1875. Joseph RYAN does not appear in BD&M birth records. As those records pre 1856 were compiled from church records photographed by the Church of Latter Day Saints I considered that there must have been an oversight so I applied for a copy of Joseph’s Baptismal Certificate from the Catholic Church, Singleton. The answer was negative…no record found. I could not find a Mary CAIN in BD&M records, shipping records or convict records. As luck would have it I was able to make personal contact with the late Clare STERNBECK who prepared certificates requested from Singleton parish and so began what was almost three years of correspondence and further personal contacts. Clare took the problem very much to heart and sent me numerous letters of possible leads and contacts. As she worked purely as a volunteer I was able to send her periodic supplies of writing paper, envelopes and stamps so that she wasn’t out of pocket. I was on the verge of abandoning the project in 1986 when in the day’s mail was a rather grubby envelope addressed in pencil containing a letter written also in pencil on a piece of white butcher’s paper obviously torn from a parcel of meat. It transpired that Clare had called at the church on her way home from shopping to check some other matter and stumbled upon the solution to my problem while turning a page in a register. She was so excited to let me know that she scribbled a message on what was available in order to catch the afternoon mail. The following day another letter arrived written and presented in Clare’s usual impeccable style. There were so many matching or nearly matching factors involved (Mary KAIN v Mary CAIN , Joseph born 12/7/1850 and a brother David) that I had little hesitation in accepting Joseph FANNING as my probable grandfather. The next step was “What does it all mean?”. Daniel FANNING was easily identified as former convict then on a Conditional Pardon but who was Mary KAIN? As with Mary CAIN there were no references in BD&M records, Immigration Records or Convict Records. I had heard that many problems arose in the early days of the Colony when names and places were recorded using phonetic spelling so I contacted some Irish people to see what names they could suggest sounding like KAIN or CAIN. A popular choice was KEANE. Back to the State Archives and there was a Mary KEANE, an Assisted Unmarried Female Immigrant, a house and laundry maid, who arrived per Royal Consort on 13th July,1840. She was able to read but not write as was quite typical of some Catholics who only had the benefit of “hedge schooling”. She was aged 24 and came from Belfast and was the daughter of John KEANE, a ship’s carpenter (deceased) and Mary KEANE (living). State Archive records indicated that Mary married a certain Andrew RYAN. It seems that Mary struck up a relationship with a convict, Andrew RYAN, born 14th June, 1810 in Booterstown a suburb of Dublin, tried in Dublin 29th August, 1829 for highway robbery, sentenced to transportation for life and arrived in Sydney 26th April,1830 on board Forth(1). They had a son Matthew (ex nuptial) on 25th December, 1841. Convicts required permission to marry and a prerequisite was a Ticket of Leave which was granted on 14th November, 1842. Permission to Marry was granted on 2nd December,1842 and they were married on 9th January,1843. According to BD&M records Mary and Andrew had a daughter Bridget on 25th May, 1847 and their son Matthew died on 23rd November, 1848. Andrew’s Conditional Pardon was granted on 13th September.1847. Mary and Andrew appear to have parted company soon after Matthew’s death. Mary RYAN (nee KEANE) then seems to have got herself and the infant Bridget to Scotts Flat where she entered into a relationship with Daniel FANNING. 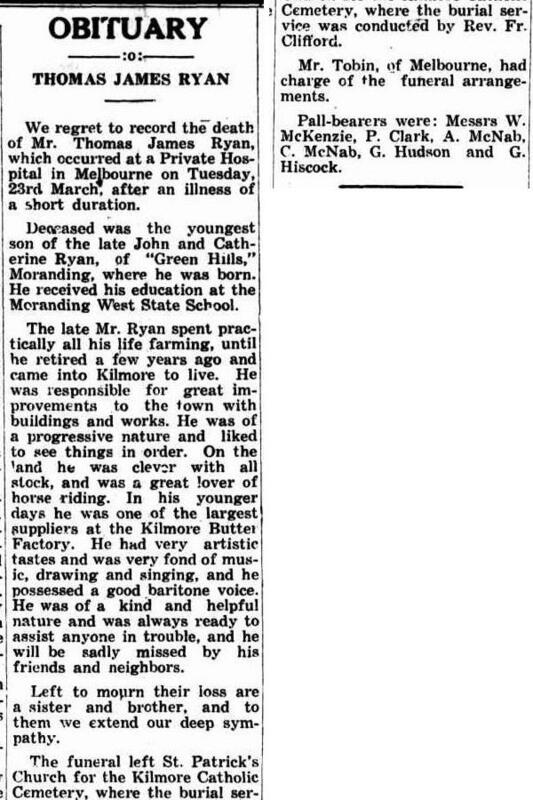 Now, who was Joseph RYAN the supposed father of my grandfather? He probably didn’t exist. He was invented to provide some respectability to the family in an era when de facto relationships and ex nuptial births were severely frowned upon. My real great grandfather was Daniel FANNING. 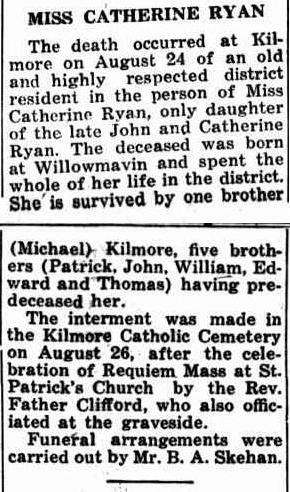 To complete verification of the family of Joseph and Anne RYAN I searched BD&M indexes and identified all except for the eldest, Mary Joseph. On a whim I searched for children of Joseph and Anne FANNING and guess what? I got the first six members of the RYAN family as shown in “The RYAN Family Tree”. Numbers 2 to 6 had the same registration numbers as the FANNINGS. 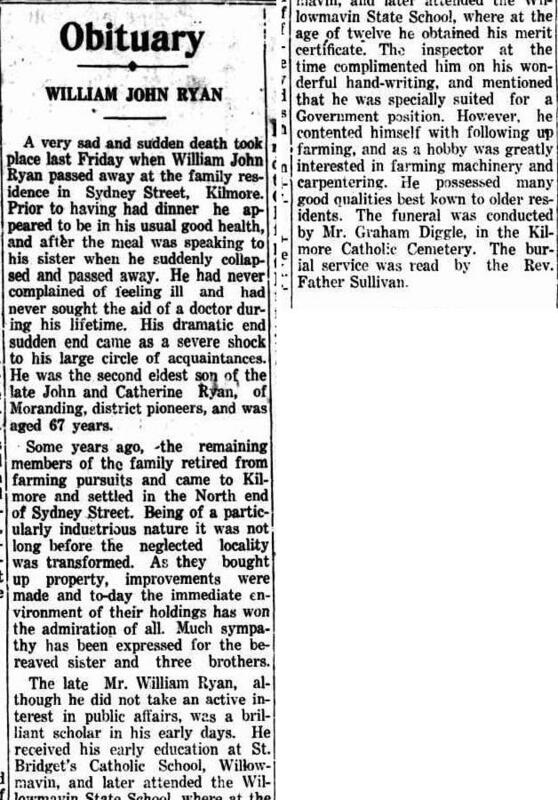 The entries for the RYANS as recorded in the Pioneer Index have the letter “R” in the cross reference field. Using sources which I cannot reveal I discovered that the second to sixth children were initially registered as FANNINGS and reregistered in 1904 as RYANS thus explaining the same registration numbers for apparently different people. Separate letters were written in Latin with an English translation for each of the five in which my grandfather stated that he had originally registered the five births as FANNINGS in honour of his step-father (who didn’t exist) . These letters are pasted in the old BD&M registers. 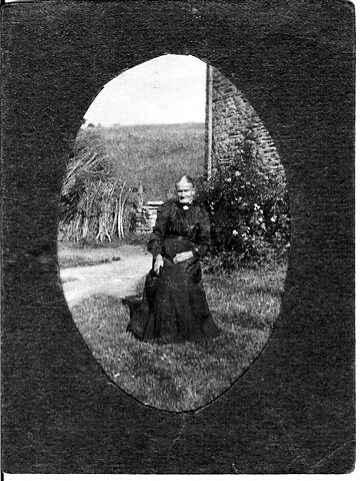 Mary Joseph is recorded in the death records as Mary Joseph FANNING. Did Joseph FANNING/RYAN perpetuate a myth or had his mother told a story? We will now return to Daniel FANNING. He was convicted at the Easter Assizes in Clonmel Co. Tipperary on the 17th March, 1836 of the manslaughter of James Long at Thurles on 3rd October,1835. 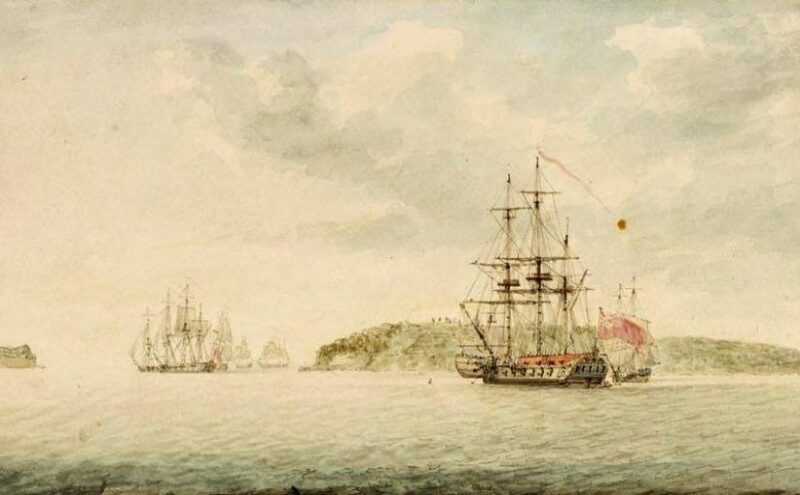 He was sentenced to transportation for life and arrived in Sydney on board Waterloo(4) on 7th September, 1836 where he was assigned to Samuel CLIFT initially at West Maitland and subsequently at Patricks Plains. Daniel FANNING disappeared from all public reference in 1853. A Daniel FANNING was found dead on the side of the road at Butlers Falls near Dubbo in 1864. After hours and hours of research he was ruled out as being our Daniel FANNING. Lots of avenues were pursued including a request published in the Tipperary Star, checking outgoing shipping records and interstate death records all to no avail. We will now leave Daniel FANNING on hold for a moment while a major player in this saga is introduced. In the early 1990s while browsing convict records on the internet I found that a D. LIEPINS was noted as searching a convict Andrew RYAN. I made contact and although we have never met personally Dale has become a great friend. We have exchanged phone calls, letters, e-mails, you name it ever since. Dale’s interest was an ancestor Mary Anne RYAN who was identified on her marriage certificate as being the daughter of Andrew RYAN and Mary RHODES when she married John SEMPLE. Dale and her mother before her had been searching in vain for Mary RHODES for some years. After establishing that our families were connected we exchanged data and joined forces for the next sixteen years and still counting. I would not have progressed to this stage without Dale. She has enquired and written letters hither and yon and obtained certificates and newspaper cuttings from near and far, all of which she has willingly made available to me. Mary RYAN (KEANE) moved to Gunnenbene near Carroll with her daughter Bridget after Bridget’s marriage to Martin FITZGERALD. Mary died on 27th September, 1896 and her death certificate indicates two sons (Joseph and David) and one daughter, Bridget, living and two sons (Matthew and Daniel) and one unnamed daughter deceased. I had previously recorded Daniel as deceased at an early age but the registration number recorded at the time, 162-1930, is now proving difficult to match. The question is “who was the second daughter?”. Over the years we searched for and eliminated every Mary RHODES born in the colony, immigrated to Australia or transported to Australia as a Convict. It was now back to square one and recheck everything. I noticed that Mary Anne SEMPLE died in 1888 thus predeceasing Mary RYAN. I then took the view that Mary Anne RYAN was the daughter of Mary KEANE not Mary RHODES. There was nothing in the records to indicate this but I felt that the birth/baptism had not been recorded or had fallen through the cracks. 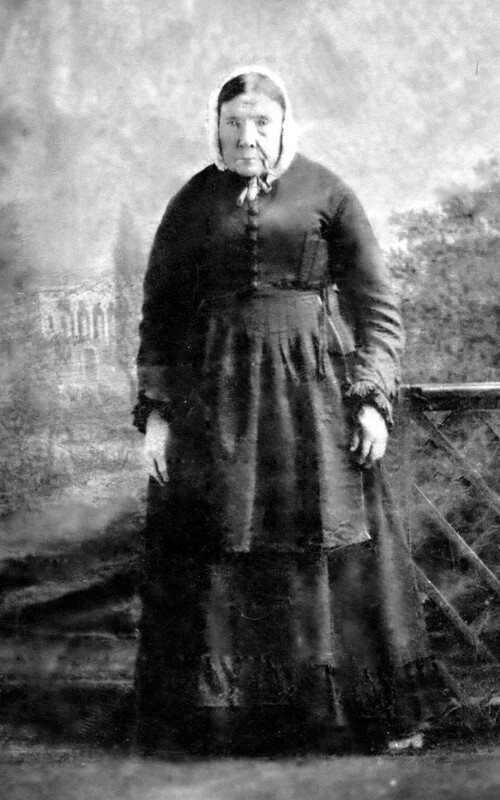 Going on her age at marriage I determined that she would have been born in 1842 or 1843 and like her siblings would have been baptised in a Catholic Church. I went through all the appropriate microfilms at Bankstown Library checking for breaks in the sequence of Baptism returns. Eureka!!! There it was. An eighteen month sequence of baptism notifications from the Parish of St. James was missing. When contacted, the Archivist at St. Marys Cathedral would not make the original records available but suggested that I approach the Society of Australian Genealogists who had a copy of the records. In the fullness of time and the payment of a fee a letter arrived from SAG containing a photocopy of the baptism of a Mary Anne RYAN, born 26th December, 1843, the daughter of Henry RYAN and Mary KEANE. The fickle finger of fate intruded again. One of the sponsors was a Henry BYRNE and as this was the last of many baptisms on that day we must allow the priest a little inattention as he wrote the register up at the end of a long day and accept that he wrote Henry when he meant Andrew. The parents of Mary Anne were noted as living in Harrington St. Sydney which was the address of Andrew and Mary. Who was Mary RHODES? My opinion is that Mary RHODES was Andrew RYAN’S partner or housekeeper. After parting from his wife Andrew and the five year old Mary Anne went initially to Tambaroora, a gold mining village near Sofala and then to Sofala where Mary Anne was married and Andrew went on to Rylstone where he died. Contemporary records suggest that the name “Mary RHODES” was fairly common in the Mudgee/Rylstone area and Andrew would have needed a woman’s touch to raise a young girl. And now patient reader we have the big drum roll. Within two months of the Mary Anne RYAN episode I received a late night phone call from Dale LIEPINS who was in a state of high excitement. She had just arrived home from holidays and was checking her mail. Unbeknown to me she had seen the name Daniel FANNING in a listing of Intestate Estates and paid the fee for a copy of the Probate Papers. IT WAS HIM. 61 pages of gold nuggets that researchers only dream about. I won’t bore the reader with the whole document but will note the significant items. 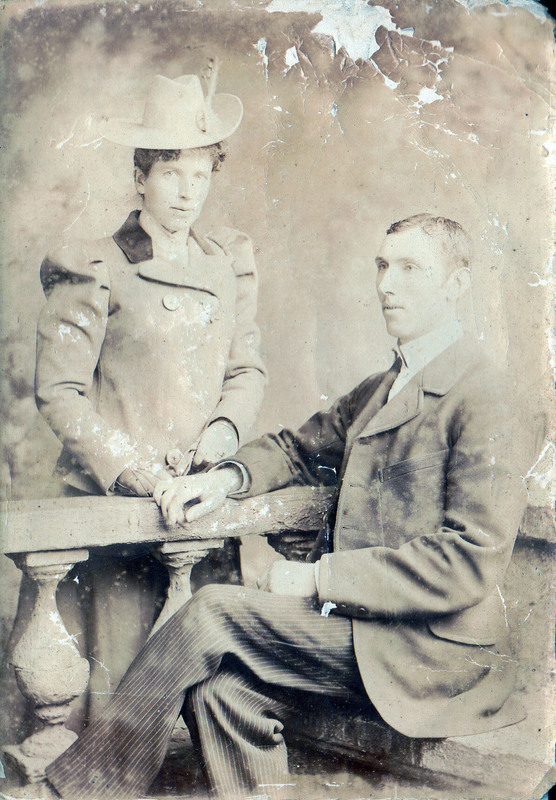 Daniel FANNING and Mary RYAN were partners as tenant farmers at Scotts Flat. Daniel fell from a horse on 16th February, 1853 and died three days later without regaining consciousness. There is no record of his death although an inquest was held. We do know the doctor’s name, the cost of the coffin, the cost of crepe and calico used to line the coffin, who dug the grave and how much he was paid. A nephew visited from Sydney not long after Daniel’s death and we know from him that Daniel came from Borrisaleigh in Tipperary and that he had four brothers. Mary was seven weeks pregnant with David at the time. One item in the papers confirms all speculations that we had made. In an affidavit Mary states that she was married to Andrew RYAN, that they lived in Harrington St, Sydney near the old Customs House and that she “left Andrew RYAN because he dissipated the means of maintenance of herself and her family through drunkenness”. 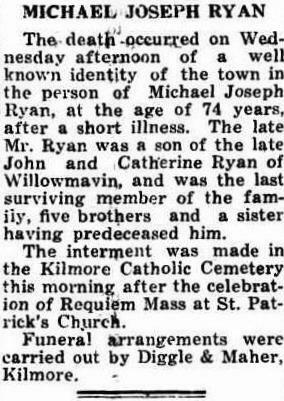 All through the probate papers Mary is referred to only as Mrs RYAN and the children referred to as Bridget RYAN, Joseph FANNING and Daniel FANNING. One can only assume that the young children being in the care of a single mother named Mrs RYAN soon became known as RYANS. The moral of this little story is “ don’t give up, there is an answer somewhere so keep searching and let your imagination run free”. The following letter is to the local magistrate, George Ryan, from the parish priest of Drom and Inch, Father Thomas Mullany, advising against showing Dandy any leniency. 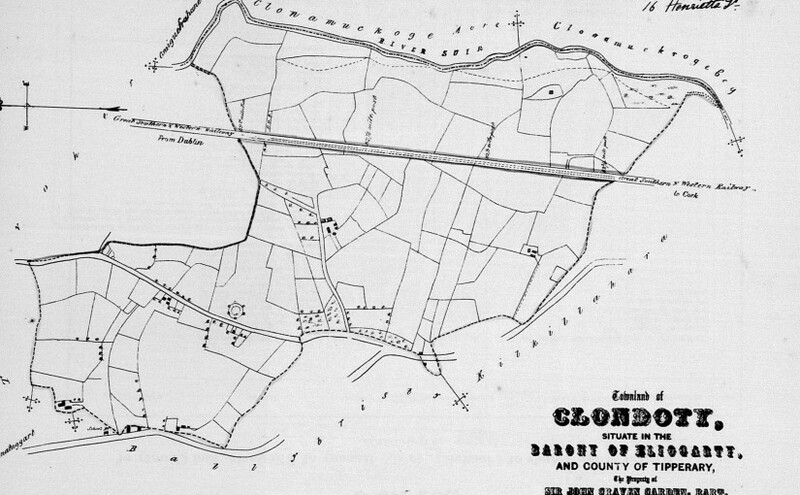 I beg to inform you, that it is currently reported, that a memorial to his excellency is about being presented, in favour of the celebrated Daniel or Dandy Fanning, now under sentence of transportation for the manslaughter of Long at the last assizes of Clonmel: this is not the first, second or third homicide, in which he has been concerned, all of which as resident Magistrate in this locality you should be aware of—- I am convinced a greater calamity could not happen in our parishes, with respect to public peace, and order than the return of this notoriously audacious character. Nay the peace of the country in a circumference of ten miles would be endangered. I submit to you, whether it be not a public duty to apprize the government of the real character of this man, and warn them of the consequences, likely to result from an exercise of the prerogative in favour of so unworthy, and destructive a character. The Lord Chief Justice DOHERTY arrived in court at 9 o’clock. The jury panel being called over, several persons who did not answer, were fined each two pounds. Messrs Geo. Smithwick, Thomas Smithwick, James Keating, Robert Usher, John O’Leary, Thomas Cotter, Wm. Smith, Thos. O’Brien, Pat. Scully, John Lacy, Wm. Hudson, Pat. Wall. Dandy Fannin, John Fannin, John Shanahan and James Maher were placed at the bar charged with the manslaughter of James Long at Thurles on the 3rd October. Thomas Fogarty sworn ; was brother-in-law to James Long, the deceased ; witness, his father, and brother were attacked by a party on the 29th of September, and witness, with deceased, and some other friends who were witnesses for witness came on the 3rd of October to prosecute the party at the petit sessions of Thurles; witness was prevailed upon to make up the quarrel and he and his friends forgave their assailants ; shortly after this, on the same day, while witness was placing a bag of bran on his cart, a great crowd of people with Con. Fannin at their head, came down the street, crying out for Long ; the deceased was at this time, in Mrs. Harney’s public house, saw Thomas Fannin throw a stone at the deceased ; witness ran up and knocked down John Shanahan ; got into a contest afterwards with Dandy Fannin, when witness got a blow in the face ; on recovery afterwards witness found the deceased speechless in a house ; deceased lived until about 12 o’clock the next day ; deceased had two cuts on his head, and several bruises on his body ; did not see the deceased when struck down ; there were 30 or 40 persons of the party who were armed with stones ; there were only 7 persons with witness, who came about the prosecution ; identified only Dandy Fannin from among the other prisoners. Mich. Shaughnessy sworn — was in Thurles the day the deceased was struck ; saw Dandy Fannin strike the deceased with an armed stick ; saw Dandy Fannin strike James Hinds ; the party was flinging stones ; the deceased was first struck ; did not see the deceased strike any person ; identified the prisoner, Dandy Fannin. Catherine Long, sister to the deceased, being sworn, deposed that, being present at the riot, she saw Thos. Fannin strike the deceased with a stone on the head, which knocked him down ; saw Dandy Fannin strike deceased with a stick while down , and witness’s life was threatened by Dandy Fannin if she attempted to assist the deceased ; there was no fighting before this ; deceased was not knocked down by the first stone thrown at him ; before deceased was struck stones were thrown by persons named Stapleton, Glasscot, Nisbit and Shanahan at the deceased ; John Fannin was pelting stones at the deceased ; the riot was going on for a quarter of an hour ; saw none but the deceased knocked down ; witness got people to take her brother into a house ; he lived till about 12 o’clock the next day ; witness identified all the prisoners as the persons who struck the deceased with the exception of John Shanahan whom she does not know, and is not the John Shanahan who struck the deceased ; swore information against James Maher, and Thomas Fannin, and against six others. James Hinds being sworn deposed that he saw Con Fannin throw a stone at the deceased ; which was the first stone witness saw thrown ; a fight then began ; afterwards saw Thomas Fannin, Con Fannin, Dandy Fannin and David Fannin, strike the deceased while down ; saw James Maher throw a stone at deceased while down ; witness was struck and twice knocked down ; witness identified the prisoners Dandy Fannin and James Maher as the persons who struck the deceased. Dr. Bradshaw swore the death of the deceased was caused by a fracture on the front of the head. Mr. C.C. Cox swore that the commencement of the riot and the coming up of the police did not occupy more than quarter of an hour. Richard Cantwell swore he saw three persons following up Pudding Lane, and shouting after Dandy Fannin, who turned from them, and when near the Main street was attacked by a party who drove him into the Main-street opposite Mrs. Harney’s house ; this Fannin was then alone. Thomas Boland swore that having got up on a cart the first thing he saw was Dandy Fannin opposite Mrs. Harney’s house, all covered with blood ; saw 8 or 9 persons striking Dandy Fannin , who had no persons with him at the time ; Dandy Fannin was beaten back by some men, when a stone thrown by some person in the rear of the crowd struck this man in the forehead, and this man , who was the deceased, immediately fell ; saw only one man knocked down ; saw a second stone thrown which was directed against the deceased ; Dandy Fannin had a stick in his hand with which he defended himself, and with which he attempted to save the deceased when down. Francis O’Brien Esq. being sworn, deposed that being attracted to the window of Mr. Bray’s drawing room, in which he was, by a noise in the street, the first thing he saw was a tall man, struck by five or six men, who were all striking him together ; this man was near the market-house, of which place, witness had a perfect view ; saw this man go away bleeding ; saw a man knocked down opposite Mrs. Harney’s house, which was on the same side of Mr. Bray’s house, and about sixty yards from it ; saw a party come up to assist the tall man ; at first there were about six or seven persons, but afterwards there was a large party shouting ; the fight began before witness went to the window to look out ; remained at the window until the police came up. Denis Reardon and Connor Shanahan swore to an alibi for John Fannin, who, they swore was for three hours in Thomas Molony’s public house before the police came up. Here the case closed when his Lordship with his usual clearness and minuteness charged the jury ; who retired at 25 minutes after 12 ; and after deliberating about 40 minutes brought in a verdict of guilty against Dandy Fanning and James Maher . Shortly after 9 o’clock, the Lord Chief Justice entered the Court – the long panel was called over on penalty of two pounds by James Carmichael Esq. The attendance of jurors was very scanty and, consequently, he number of fines very numerous. O’Leary, Thomas Cotter, Wm. Smith, Thomas O’Brien, Patrick Scully, John Leacy, Wm. Hudson, and Patrick Wall. Dandy Fanning, John Fanning, John Shanahan and James Maher were placed at the bar, Dandy Fanning charged with the manslaughter of James Long and the others with aiding and abetting in the same, on the 3rd of October, in the town of Thurles. The witness was cross examined by Mr. Brewster, K.C. who was licensed to act for the prisoners. Cross examined by Mr. Fogarty – was in town at 1 o’clock ; saw Fanning separate from the crowd, but he was not alone ; did not see anyone strike Fanning, but saw him bleeding. To a Juror—Fanning was not bleeding when witness saw him strike the first blow. Catherine Long sworn and examined by Mr. Scott, K.C. —Is sister to the deceased ; was in Thurles the evening he was struck ; saw Tom. Fanning strike her brother James in the head ; saw James Maher strike him with a stone while he was lying down ; saw Dandy Fanning strike deceased with a stick when down ; witness thought to save her brother, but Fanning said he would kill herself if she did not go away, there had not been any fighting before her brother was knocked down ; there were stones thrown at her brother and his party before deceased was down ; saw another John Fanning and a man named Nisbet throw stones at her brother and his party ; saw John Shanahan also pelt stones ; the fight continued about one hour and a half ; it did not continue after her brother was knocked down ; the deceased was lying in the street and witness got men to bring him into a house ; (identifies Dandy Fanning, John Fanning and James Maher.) ; saw a John Shanahan there, but it was not the prisoner at the bar ; her brother died the next day. Cross examined by Mr. Brewster, K.C.—Gave information in about six days after ; did not swear in her information against Maher , though she saw him strike the deceased ; was in Thurles from 9 o’clock till near 4 o’clock ; two persons went with witness to Thurles ; did not see any of the Fogarty’s in Mrs. Harney’s public house ; when her friends came out the fight commenced ; never heard her cousin or brother bid one of the Fannings prepare his coffin ; her brother was killed about half an hour after he came out of the house ; the fight stopped in two minutes after her brother was killed ; the fight was going on about an hour and a half. Re-examined by Mr. Scott– When Maher was in custody swore her information against him before Mr. Tabiteau. Cross examined by Mr. Fogarty, at great length—- There were a great number of friends of the deceased Long and four Fogartys ; they ran out of the house when the Fannings came down the street, shouting out “no Longs, no Fogartys”, witness had no ferule on his stick ; defended Long as well as he could, but was knocked down himself ; saw no blood on Fanning before he struck Long ; the deceased was taken into Mrs. Harney’s after he was knocked down ; witness was taken in there himself about 4 minutes previously. Dr. Bradshaw, examined by Mr. Plunkett, K.C.—- Was in Thurles the day in question ; there was a whistle given and immediately there was a fight ; the whole thing could not have lasted more than a quarter of an hour. Richard Cantwell, sworn, examined by Mr. Brewster K.C.—– Lives in Thurles opposite Mrs. Harney’s house ; met Dandy Fanning in the street about three o’clock in the day– the court was over ; the witness saw three persons follow Fanning and shout after him ; he was attacked there by a party ; he was by himself, and was beaten back ; he had several cuts on his head ; it was witness washed his head. To the Court—– There were about 7 or 10 persons of the party who attacked Fanning ; when the people attacked Fanning, they drove him back towards the Main street, from the road where he was going home ; he was then alone ; had no party with him. Cross examined by Mr. Scott, K.C.— Was about 40 yards from the fight ; it could not have lasted more than 20 minutes ; the police came up and they dispersed ; did not know the Longs ; knew none of the party but Dandy Fanning. Thomas Boland examined by Mr. Brewster, K.C.— Recollects the day of this unfortunate occurrence ; saw Dandy Fanning in the square all covered with blood ; did not see any fighting before that ; there were 7 or 8 persons striking him at the time ; he had no party with him ; saw Fanning cover his head with his arm to save himself ; saw a man who was coming up against Fanning knocked down ; saw Fanning put his stick over him to save him ; the “peelers” then came up and there was a whistle . Cross examined by Mr. Plunkett, K.C. —-Did not see any man but the one knocked down. Francis O’ Brien, Esq. of Turtullo, examined by Mr. Brewster, K.C.—- Saw the fight in question; saw one person rather a tall man, struck by several persons ; saw blood streaming from his head ; saw a man knocked down near Harney’s public-house ; there was no one assisting the tall man, they all seemed to be striking him, until a party came to his rescue ; saw the transaction from the drawing room window that commanded a view ; and the first thing that witness saw was 6 or 7 men striking the one person. Denis Reardon sworn—- Was in Mullowney’s house during the fight ; had been in the house of Mr. Thomas Mullowney when the police passed by, and for three hours before that. Connor Shanahan sworn—- was in Mullowney’s on the day of the fight ; John Fanning was already there, and had been there two hours and a half. He was cross examined by Mr. Scott, K.C. The case being ended his Lordship charged the jury at great length, clearly recapitulating points of the evidence adduced from the various witnesses both for the prosecution and defense. His Lordship said all who went with the party , and aided and assisted, were equally guilty as the man who actually struck the blow. The jury retired, and in 40 minutes returned a verdict of John Fanning and John Shanahan not guilty, Dandy Fanning and James Maher guilty. Dandy Fanning and James Maher were sentenced to transportation for life. The family apparently went straight to Scotts Flat travelling by boat to Morpeth and then overland by foot or cart. 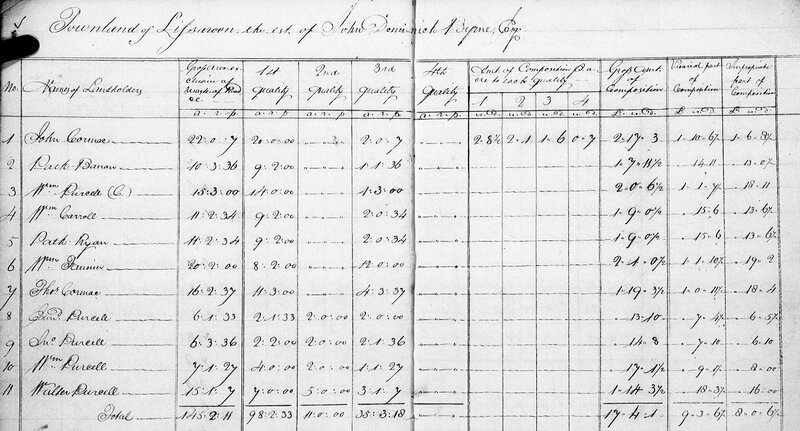 Michael died within 6 months of arrival (V18521354 118/1852). There is a headstone for Michael and Margaret in the old Singleton cemetery. sole holding until 1872 when he acquired the adjacent Portion 49 of 50 acres ex roads as Additional Conditional Purchase 72/7966. Indications are that Martin and Bridget were among the very first settlers in the area because his selection is Portion 1 and no other Conditional Purchasers of !869 or earlier are obvious on the Parish maps. NOTE Terms of a Conditional Purchase are 25% deposit and annual instalments of 5% of the Capital Value including interest @ 2.5% pa on the outstanding balance which usually means payment complete in 28 years. Conditional Leases were normally leases in perpetuity with an annual rental of twopence per acre per annum with the right to convert to a Conditional Purchase at any time at one pound per acre. Additional Conditional Purchases were available to holders of Original Conditional Purchases at no more than one pound per acre but often at reduced rates such as 6 shillings and 8 pence per acre. 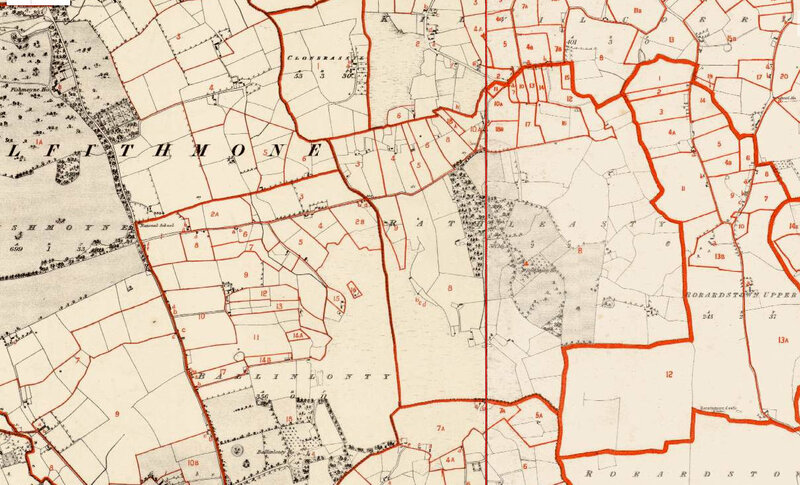 Patrick O’Brien acquired 2 blocks in the Parish of Gunnenbeme adjacent to Martin Fitzgerald. Patrick also obtained a number of blocks in the nearby Parish of Keepit abutting the very large holdings of his brother-in-law John Henry Fitzgerald. Andrew Fitzgerald also took up land in the Keepit area alongside his brother. William remained at Scotts Flat as a dairy farmer. Martin & Bridget’s family was……. 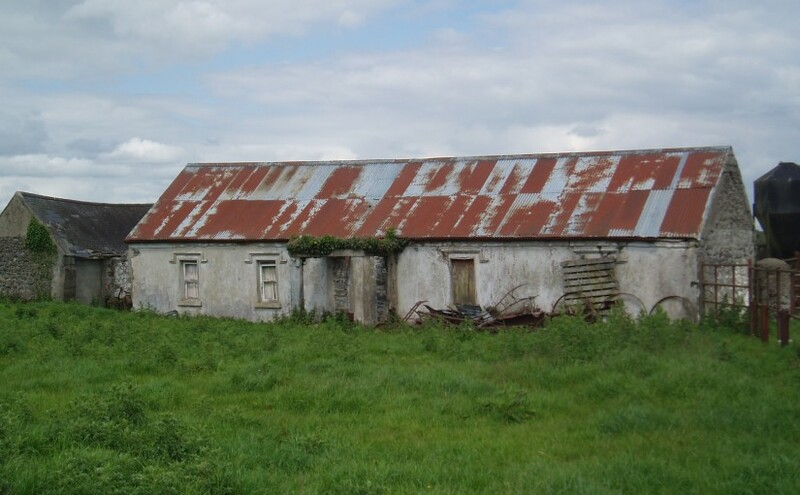 This is the earliest related Fanning residence that I have discovered being the property of William Fannin and Sarah Fannin nee Ryan who are buried in Ballycahill Cemetery Co Tipperary. William Fannin was born about 1731 and died 28 Jan 1801. Sarah Fannin was born c 1741and died 27 Nov 1817. After William Fannin died in 1802 his eldest son William Fanning took over the property. He was married to Hanera Cormick. From William the property passed to his son Michael who was married to Catherine Ryan and from then to Thomas Fanning married to Johanna Bannon. The Bannons and Cormicks were Lissaroon neighbours. They did not have any children and so it was left to John Joseph Mullany his nephew and son of John Mullany and Bridget Fanning. The property is owned now by Bridget Fanning’s granddaughter. Thomas and Johanna were the last Fannings to live at Lissaroon. 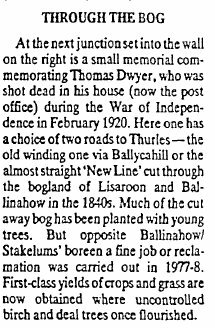 In the Nenagh Guardian 4 Feb 1984 there is an explanation of the road which cuts through Lissaroon. This was done in the 1840s. Delia Cullen told us this road was a real boon to the Fannings giving them direct access to Thurles. When Michael originally had the property it was about 50 acres with an additional 45 acres of bog land next door. The lessor was Edward Maher. Then Maher took over the bog land. The total property was valued at 33 pounds in 1856 and 50 pounds in 1943. In Griffith’s Valuation Lissaroon William Fannin is listed as occupier of a house, offices and land (44 acres 2 rods and 29 perches) the immediate lessor being Edward Maher. The no and letters of reference to the map are 11 ABa. William Fannin also occupies No 12 with John Cormack and others. This is a bog of 43 acres 3 rods 11 perches. Edward Maher is lessor. 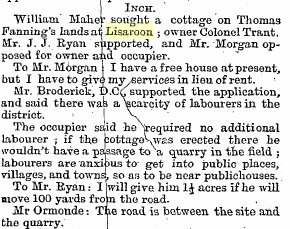 Looking again at the 1901 Census for Lissaroon we can see that the number of families is less. In 1901 there are twelve families and in 1911 there are ten. The main families are the Purcells, Brolans, Fannings, McCormacks or Cormacks and Bannons and Ryans. The House and Building Returns for 1901 describe Lissaroon as having six rooms, four windows, being made of either stone or brick or concrete and having a roof of thatch or wood. Descendants have confirmed that it had a thatched roof which became too expensive to upkeep and was replaced by a tin roof. In the 1911 census seven rooms are occupied by the Fannings. 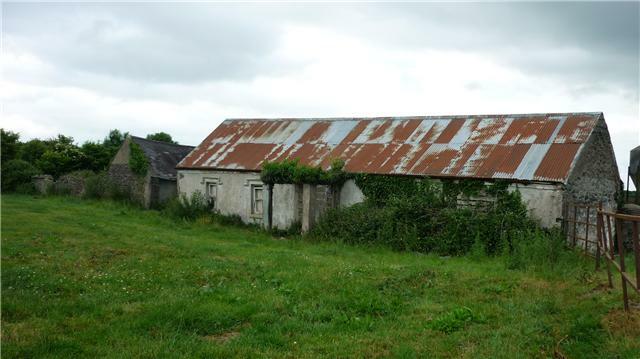 The 1901 Return of Out-Offices and Farm-Steadings has the Fanning property at Lissaroon having two cow houses, one calf house, a piggery, fowl house, boiling room, barn and shed. A total of nine out-buildings. 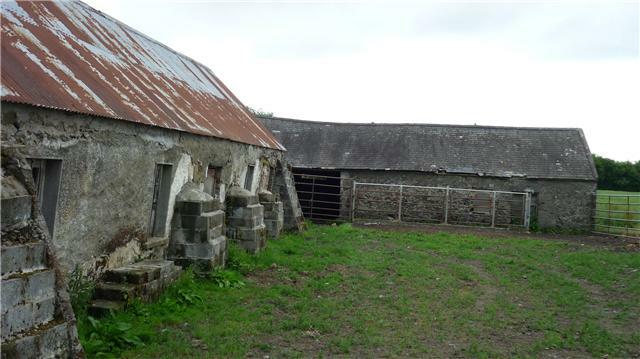 In the 1911 census there are eight out buildings: a stable, a dairy, cow house, fowl house, barn, turf house and shed. 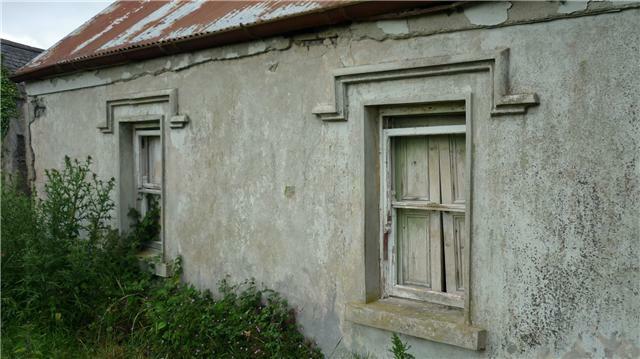 In 1904 when the property was owned by Thomas Fanning a request was made for a labourer’s cottage to be erected on his lands at Lissaroon. 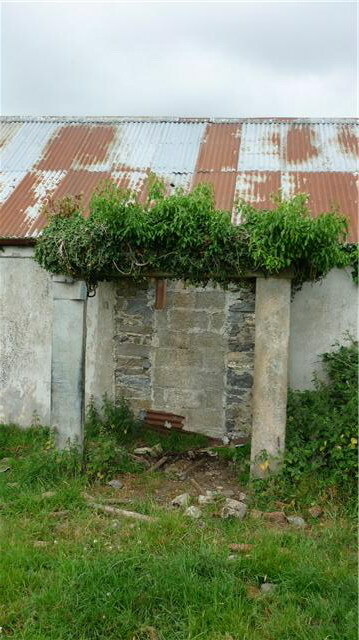 This was part of the Thurles Labourers’ Cottage Scheme. 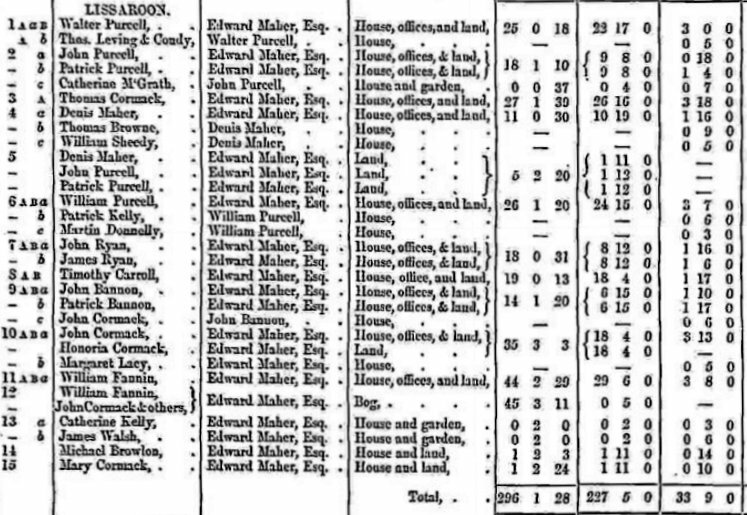 The Valuation Office have searched and between 1856-1863 12 ABC is occupied by Michael Fannon House Office and Land 45 acres 0 rods 8 perches, lessor is Edward Maher. The bog Ref no 13 was occupied by Michael Fannin and others but during this time it is taken over by Edward Maher in fee. Some lands were added to 12ABC about 7 acres. No exact dates are given. 1863-1866 12ABC occupied by Michael Fannon immediate lessor is Edward Maher about 51 acres. 1866-1876 12ABC still occupied by Michael Fannon House Offices and land of 52 acres 2 rods 7 perches. Immediate lessor is still Edward Maher. According to Delia Cullen the gr granddaughter of Michael Fanning he was paying 37 pounds a year in rent for the Lissaroon property. 1876-1883 12ABC change from Michael Fannin to Catherine Fannin probably in 1879 same amount of land. 1883-1893 12ABC occupied by Cath Fannin, same amount of land. 1893-1909 12ABC change hands from Catherine Fanning to Thomas Fanning in 1898. 1909-1929 8A 7A 12AaBC occupied by Thomas Fanning House Office Land. 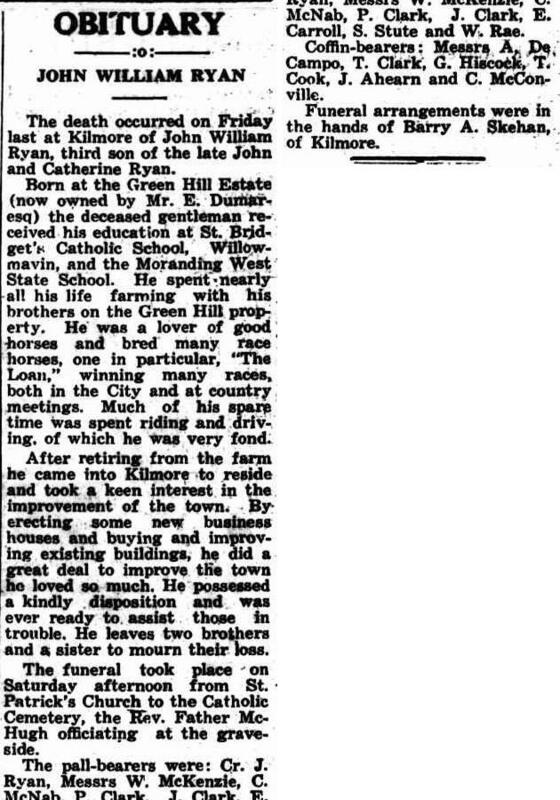 1929-1967 7A 8A 9A 12AaBb 13B John J Mullany takes over the land from Thomas Fanning in 1939 he buys out the ground rent and now holds the land In Fee. Total land is 42 actres 16 rods. John Joseph Mullany is Thomas Fanning’s nephew. 9A was added in 1943. His mother is Bridget Mullany nee Fanning. The Ratings Records from 1999 show Timothy Cullen as the occupier of 7A 8A 9A 12A Lissaroon In Fee. Area is 71 acres. As rates were abolished this is the last record they have. It has the rates being effective from 31/12/1988 which could be when the property changed hands. Based on information in a 1978 letter by Archbishop O’Donnell to his nephew I think William Fannin and Sarah Ryan of Lissaroon are the grandparents of William Patrick Fanning, “Big Bill”, who emigrated to Australia in 1841 with his wife Catherine Hayes. 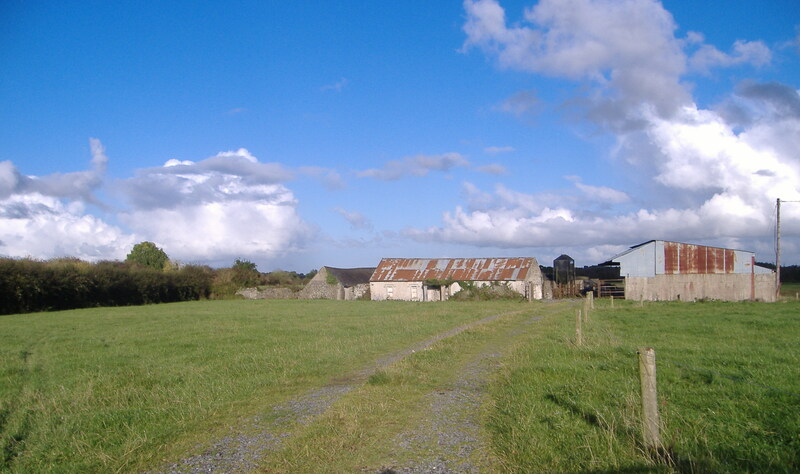 It was described as a “prosperous Farm” in Archbishop O’Donnell’s letter to his nephew. The stone house on the left may be the original dwelling. More photos of Lisaroon taken in June 2010. The farm hasn’t been lived in for years.